Beautiful antique French oval frame, silvered, with convex glass. 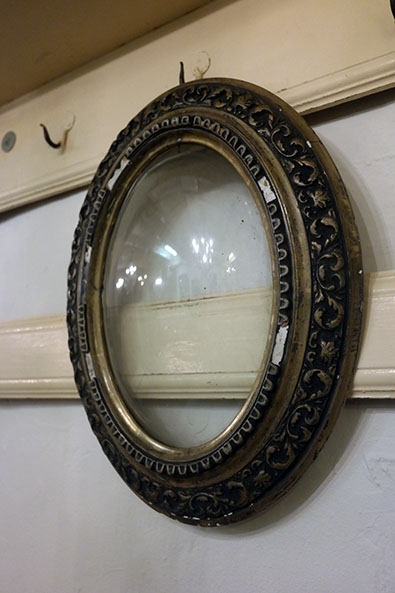 Lovely frame with a gorgeous shabby look. 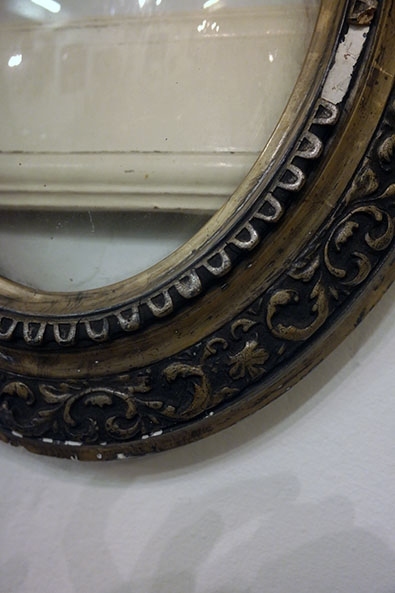 Made of wood and plaster, dark colour with silvered details. The silver has gotten a beautiful colour and patina. 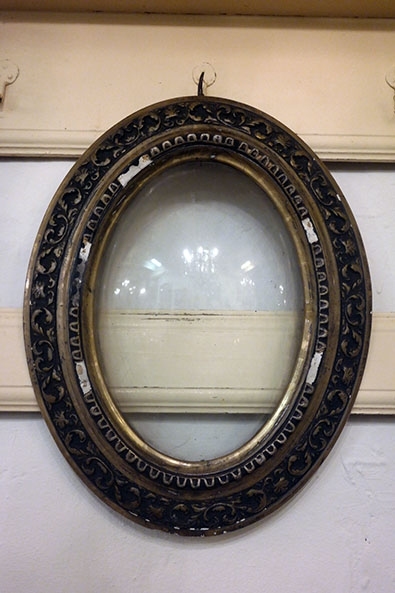 The frame measures approx 42 x 32 cm, inside of the frame approx. 28 x 20 cms.